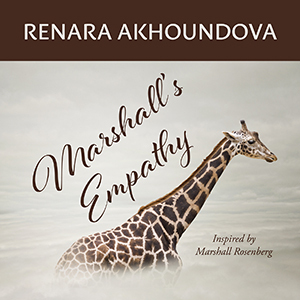 "Marshall's Empathy" is Renara's first album. It's nothing less than a grand celebration of a soul transformed by empathy. The melodies are tender and sensitive. As with every one of Renara's albums, in these 11 songs you'll hear the influence of Renara's native Caucasus Mountains combined with the romantic melodies reminiscent of a Paris cafe in spring. Far from being intrusive and demanding, the diverse notes in this 65-minute collection of music will invite you to make each song your own. The destination on this musical journey is an encounter with yourself.